Since the initial release of 12 titles in 1942, worldwide sales of Little Golden Books have topped two billion. At the onset, these kid-friendly stories featured original stories and characters or were based on classic fairy tales. Thanks to a licensing deal in 1944, the series began to feature Disney characters and paved the way for future licenses and tie-ins to other cartoon characters, television shows, and even corporate giveaways. 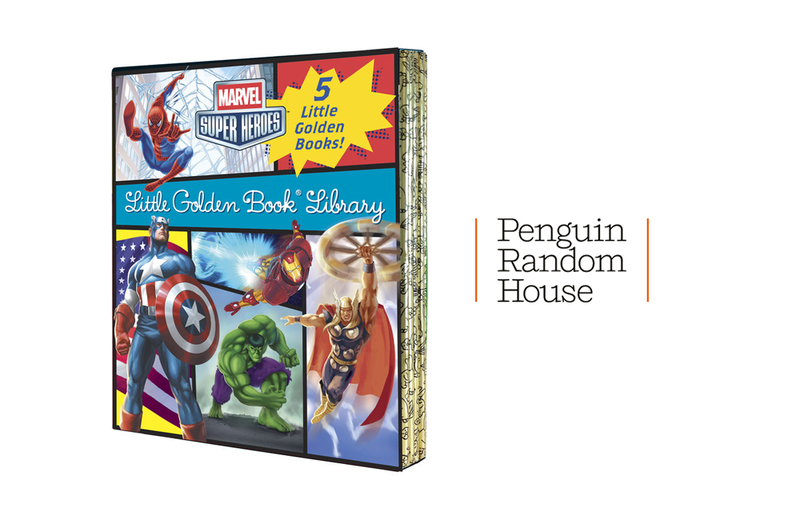 Book publisher Penguin Random House has released a box set of Little Golden Books featuring superheroes from the Marvel Comics Universe. The five-book set checks in at 120 pages chock-full of colour illustrations and features the heroic exploits of Spider-Man, Hulk, Iron Man, Captain America, and the Avengers. Aimed at children ages 2 to 5, the set is priced at $24.95 and is available from a variety of resellers.